Venus in Leo has claimed center stage in our sky at night as she should, brilliantly radiating at her maximum elongation from the Sun over the past few days. Venus in Leo is on her way toward a conjunction with Jupiter in Leo, and these two beautiful lights will be getting closer and closer each night, finally uniting at the Full Moon in Capricorn on July 1, 2015. Leo is an elegantly brazen place of residence for Venus, and so her dance with Jupiter over this next month will encourage us to ignite with passionate purpose from within and confidently express our own unique style of creativity in our environment. We have a long time to work with Venus in the fixed, fiery sign of Leo as Venus will be in Leo for the next four months save for the period of July 19 -31 when Venus will enter Virgo and station retrograde. Venus will be retrograde, mostly in Leo, from July 25 until September 6 and will not leave the Venus retrograde “shadow zone” until October 9, 2015 when Venus re-enters the sign of Virgo at last (Venus enters the “retrograde shadow zone” on the Solstice of June 21, 2015 when it crosses over 14 degrees of Leo). As Leo is ruled by the Sun, those born with Venus in Leo have their solar soul purpose intimately linked to all things Venusian. Celebrities with Venus in Leo include Madonna, Michael Jackson, Jennifer Lawrence, Amy Adams, Tim Burton, Stanley Kubrick, Coco Chanel, Yves Saint Laurent, Greta Garbo, Alfred Hitchcock, Andy Warhol, Nicole Kidman, Tom Cruise, Michelle Williams, Gwyneth Paltrow, Tori Amos, Fiona Apple, Whitney Houston, Amy Winehouse, Tobey Maguire, Daniel Radcliffe, Mother Teresa, and the 14th Dalai Lama. Star power can radiate from natives with Venus in Leo like beams of light, and there is a penchant for grand gestures and drama. Perhaps the Leo in the Venus of these natives likes getting attention, but the attention Venus in Leo attracts has less to do with attention seeking and more to do with authentic allure and magnetism that flows with scintillating vibrations from them. By Transit, Venus in Leo tends to spark inspirational thoughts and desire to actualize our creativity in everything from our daily tasks to projects associated with our life’s work. As Venus in Leo will form a square or an opposition to any planets one possesses in the other fixed signs (Scorpio, Aquarius, Taurus), Venus in Leo also tends to shake up places that have become stagnant through resisting change in favor of the comfort of stability. As Venus in Leo forms a sextile to the signs of Gemini and Libra, and a trine to the signs of Aries and Sagittarius, if you have planets in these signs you can look forward to Venus enlivening your experience with stimulating impulses toward intensifying growth in whatever astrological significations are activated. Venus in Leo brings inner awareness of the fertile potential we each possess, and lights a burning desire to actualize our creative gifts into the world around us. The Egyptian goddess Sekhmet is a compelling mythic figure to contemplate in relation to Venus in Leo. Sekhmet in myth can be a fierce and wrathful goddess, but she also seems to be a regenerative one whose fire burns away the inessential in preparation for a rebirth. Though she is linked in myth to mass destruction and warfare, she also has a strong connection to healing as her son Nefer-Tem is a god of healing and she also had significations and names directly evoking medicine. 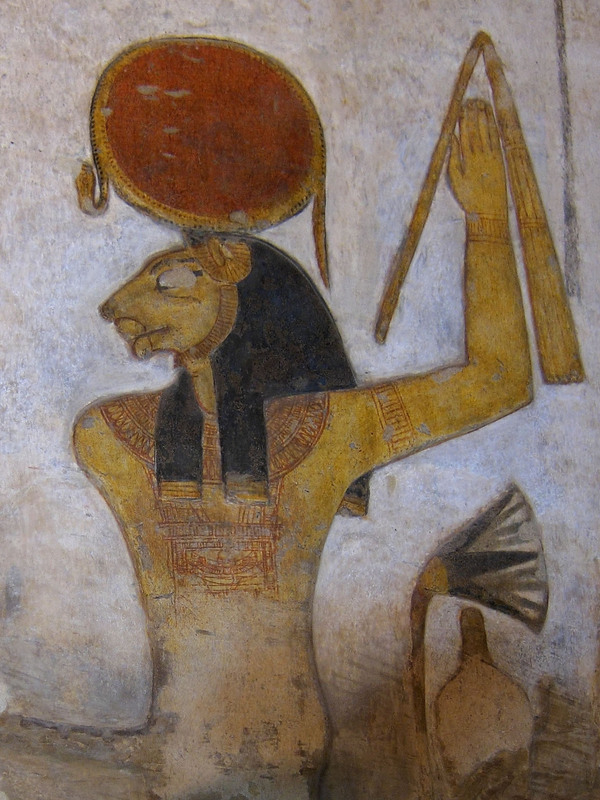 Sekhmet is primordial and one of the most powerful goddesses in all pantheons. 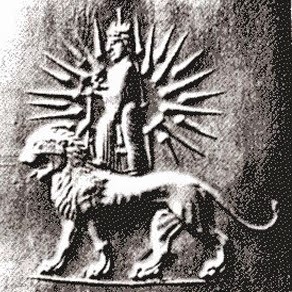 As Leo is ruled by the Sun, and the Sun in astrology is said to have an all-pervading power that can overwhelm any planets that go under it’s beams or combust, Sekhmet similarly signifies the celestial fire of the Sun that can weaken and destroy, or heal and stimulate. 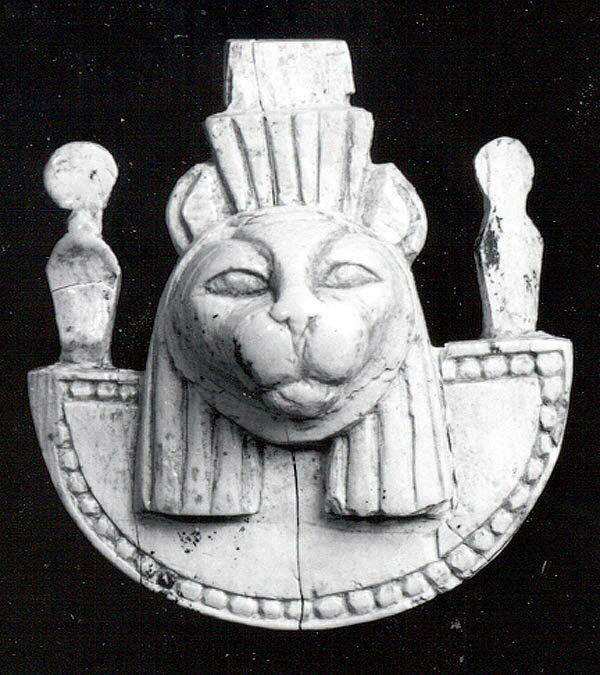 Sekhmet wears a solar disk with a serpentine uraeus that further connects her with kundalini energetic awakenings, the divine rulership of pharaohs, and the judgement of souls commonly connected with the goddess Ma’at. Likewise Leo is a limitless placement for Venus in the sense that Venus in Leo knows no limits, roaring in the face of any source of limitation. Venus in Leo does what she pleases, and never asks permission for what she can or cannot do- she simply, confidently does. As we will have a stronger pull than normal to activate what we sense is our creative destiny with Venus in Leo, we need to realize that when we do not receive the attention we feel is our deserved due that we can become angry on the one hand, withdrawn on the other hand. Venus in Leo is ambitious, yet we must monitor feelings of unworthiness or inadequacy that could come up if we feel we are not being given positive validation tantamount to the level of ambition we were aiming for. With Venus in Leo getting closer and closer to Jupiter in Leo each day in the month ahead, it is imperative for each of us to make choices each day to actualize whatever we feel strong desire to create from within. In the end, being brave enough to manifest our creative purpose in our surroundings is much more important than whether or not we receive the amount of acclaim we were hoping for or perfectly manifest material in accordance with our idealized intentions. A lot can shift once Venus goes retrograde at the end of July, and so this is an ideal time to set intentions and initiate action while Venus is direct and shining with the most brilliant light of her cycle at night.